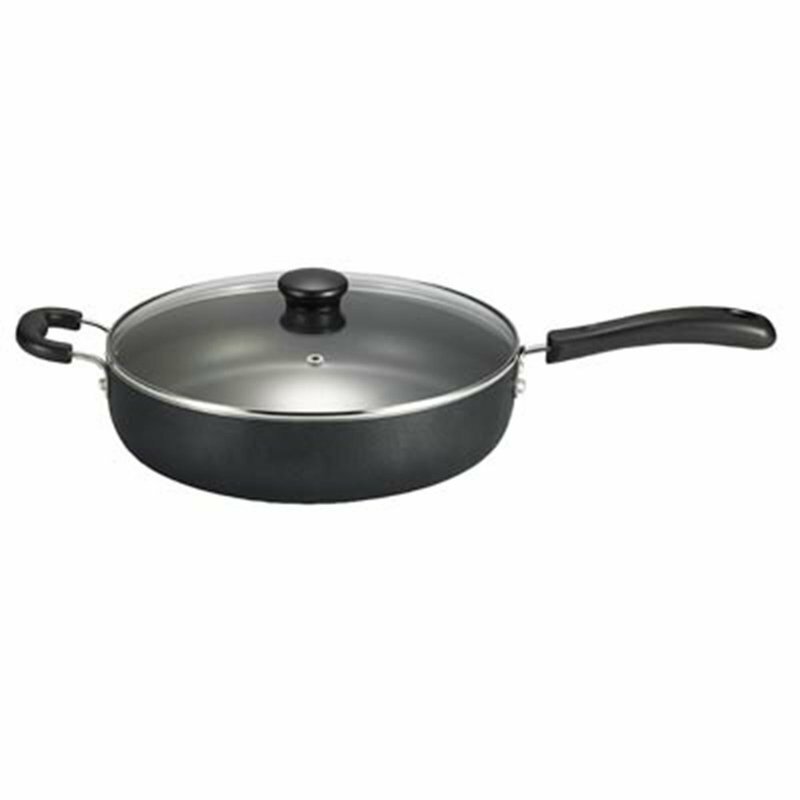 Non-stick interior & exterior for easy cooking and easy clean-up. Even heat base delivers even heat distribution. Tempered glass lid. Helper handle for added comfort and safety.